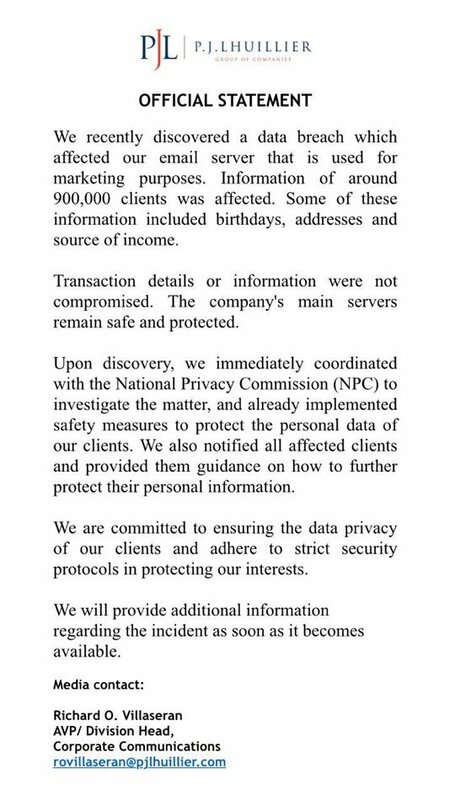 Cebuana Lhuillier, a Philippines’ largest non-bank financial service provider, said on Saturday that about 900,000 customers were hacked by unauthorized hackers. The company has alerted the authorities and intervened in the investigation. The leak occurred when Philippine investigators launched an investigation into the Philippine Foreign Minister’s allegations of hacking into the country’s passport database. Last week, the Philippine Foreign Minister alleged that a privately contracted company had stolen documents and data from the Ministry of Foreign Affairs’ passport database.